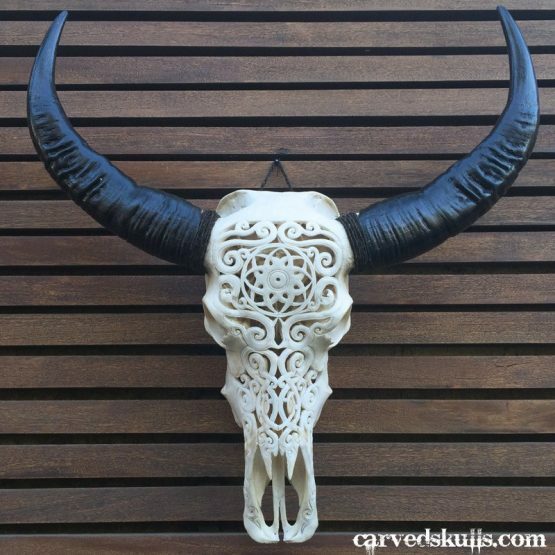 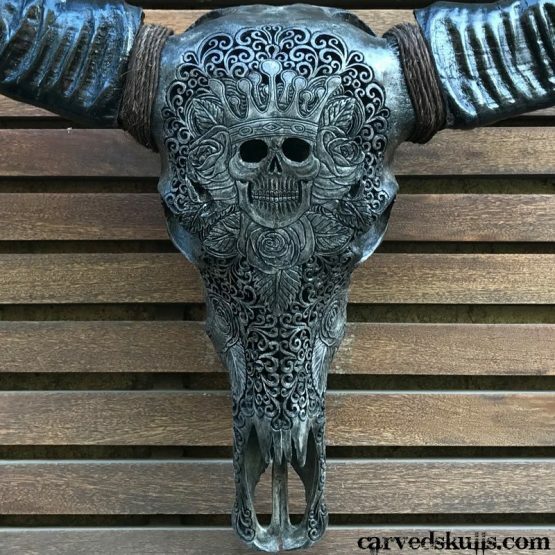 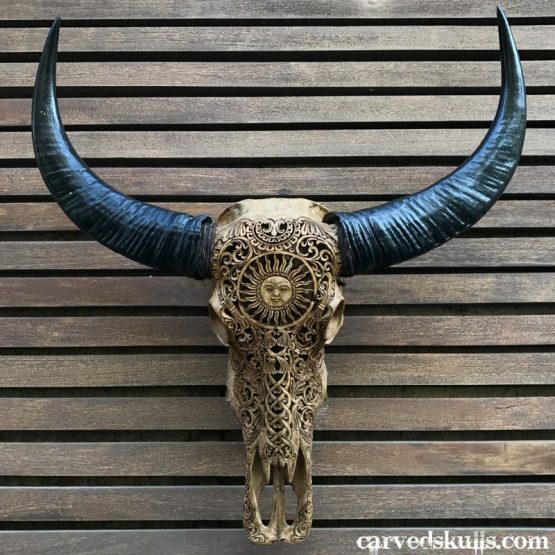 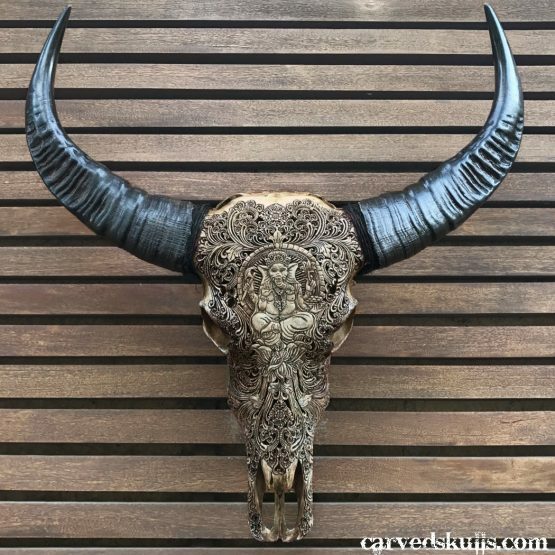 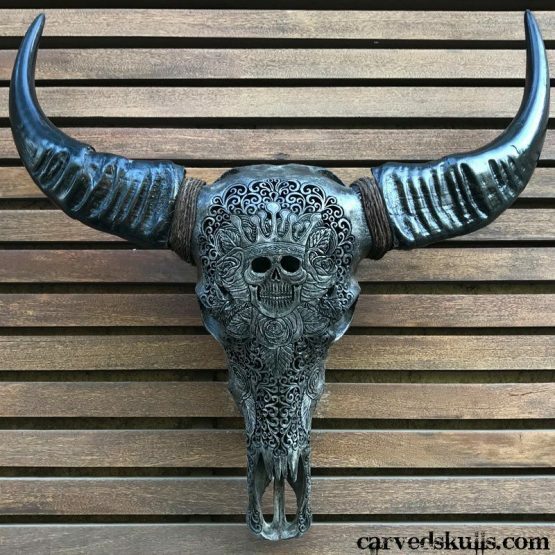 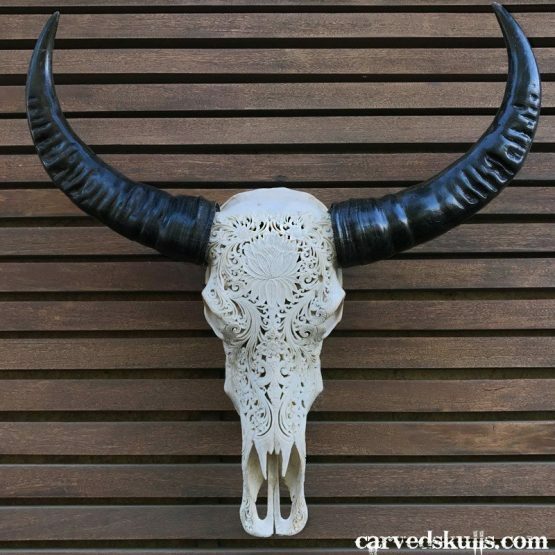 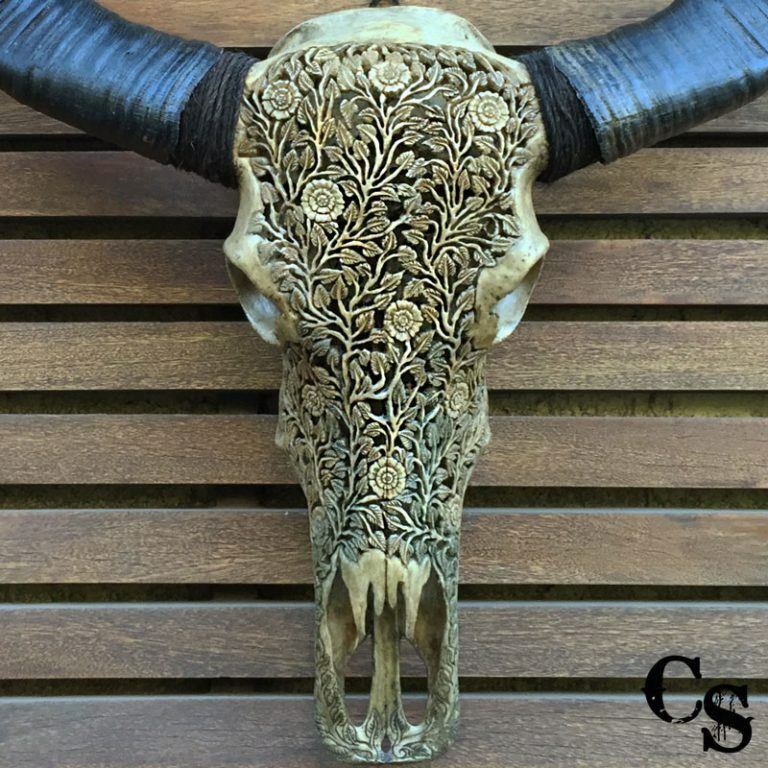 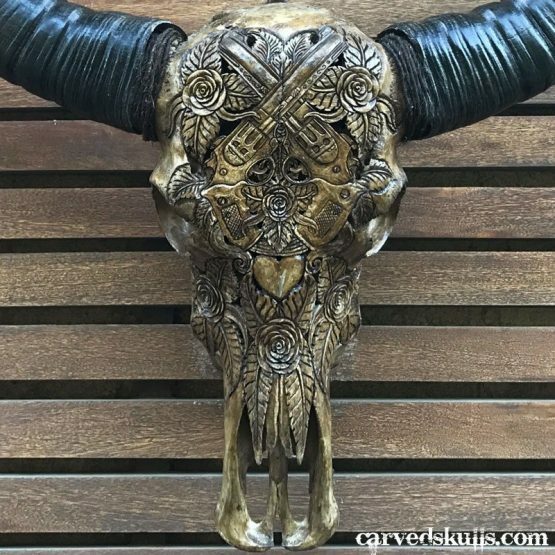 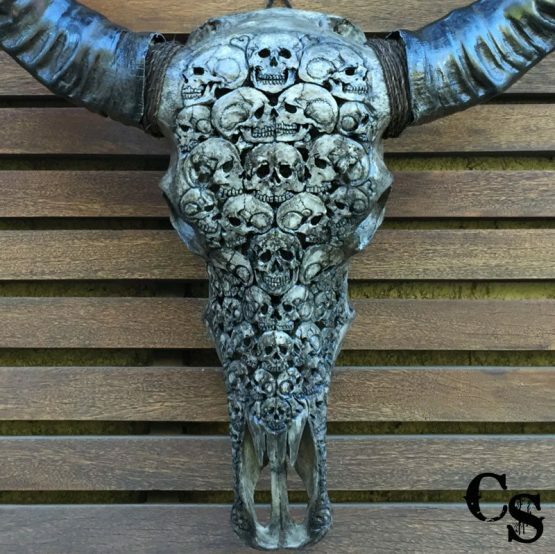 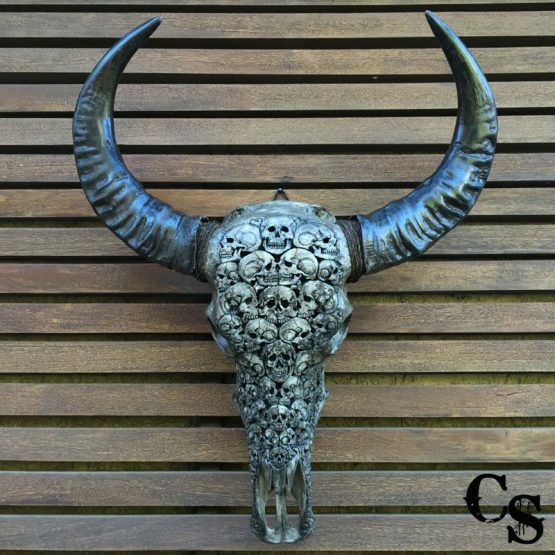 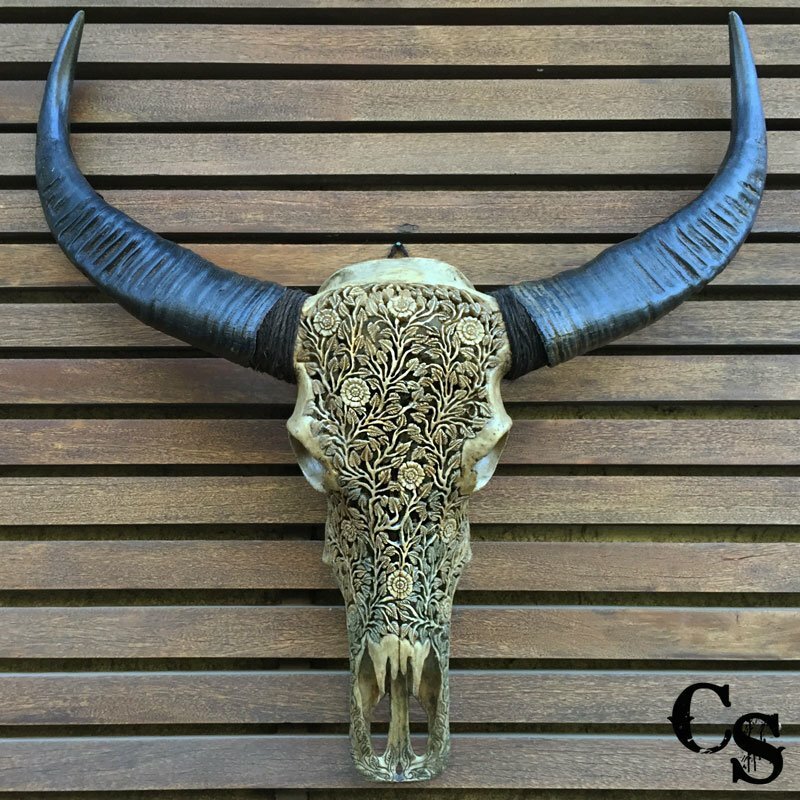 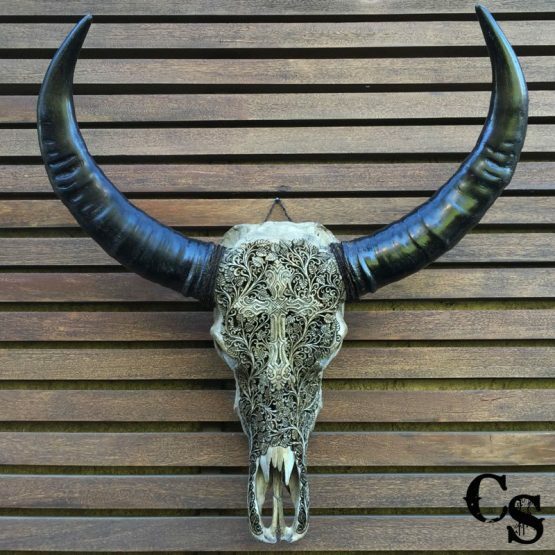 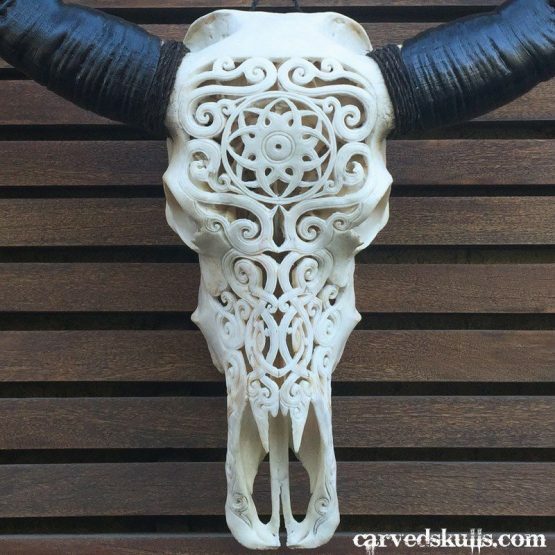 Symmetrical and fascinating, the swirling design hand carved as part of this work of buffalo skull art is more than charming. 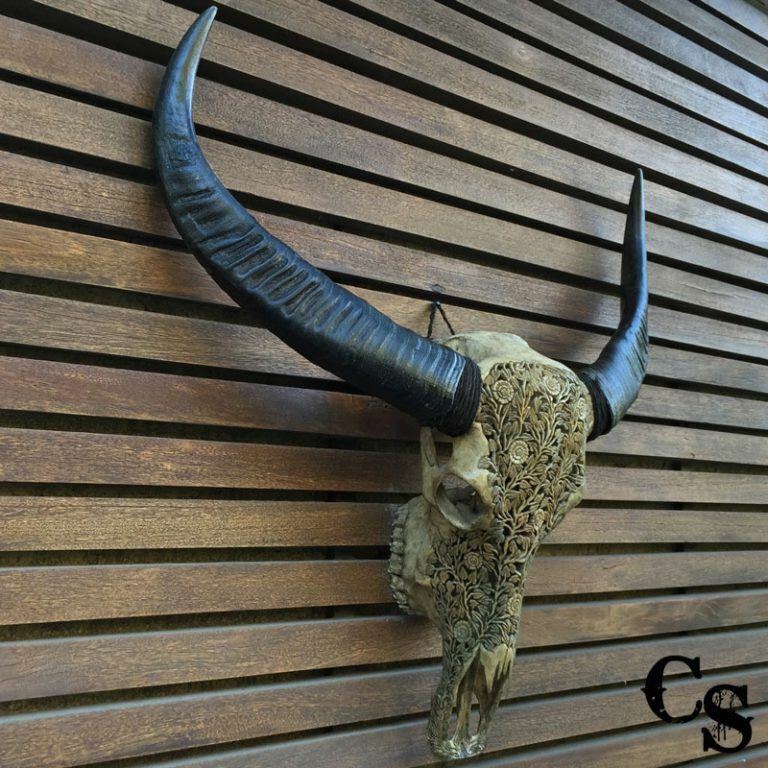 It creates a focal point for an amazing country and western themed décor plan in any space. 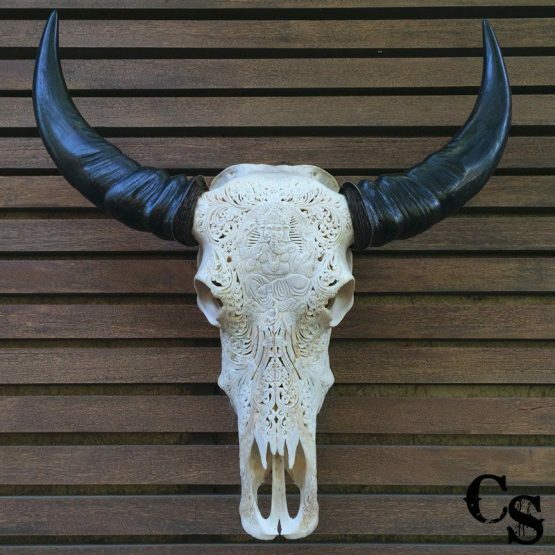 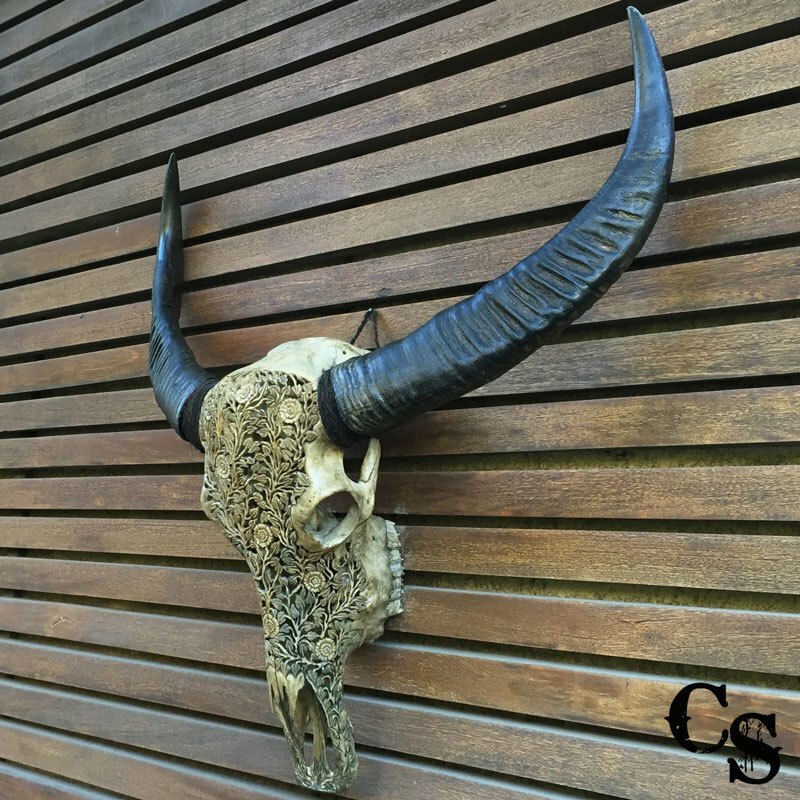 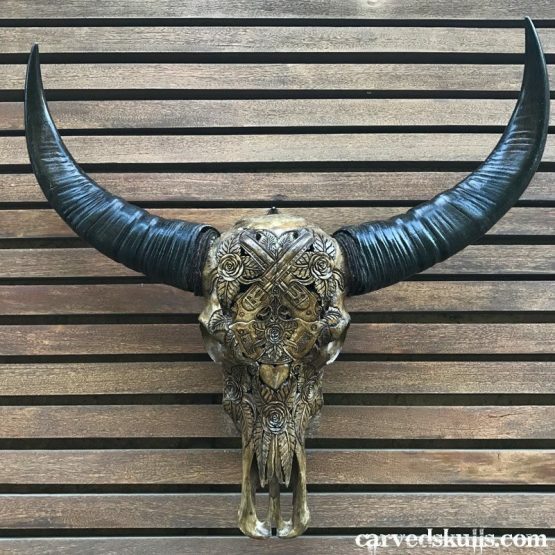 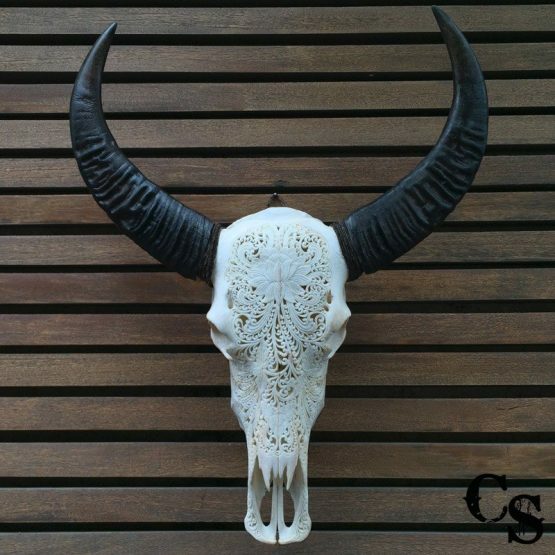 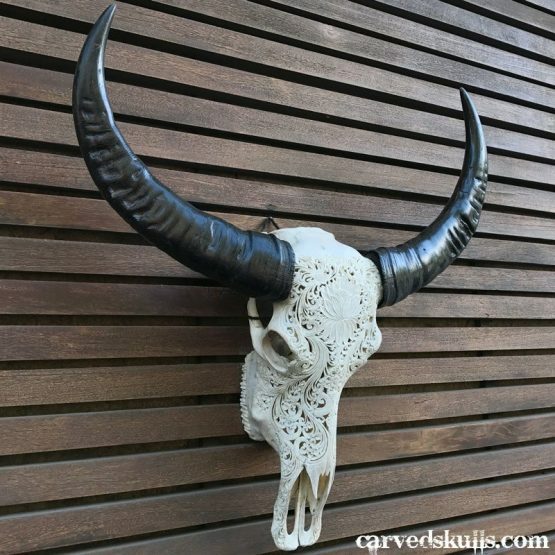 Hand carved by skilled artisans, this exceptional wall mounted buffalo skull will kick up the frontier feel and flair of your room, for a warm, charming space that lends itself to every purpose.